Qatar National Bank (QNB) has announced the acquisition of an additional 11% stake in Ecobank Transnational Incorporated (Ecobank), bringing its total stake in the leading pan-African bank to 23.5% at a cost of USD 283 million. The latest acquisition, which was funded through existing resources, will further strengthen the partnership between the two financial groups, with The QNB Group now becoming Ecobank’s largest shareholder and furthering QNB’s strategy of becoming an MEA Icon by 2017. Ecobank currently has a presence in 36 countries across Africa and in 4 other countries across the globe, adding to the global presence of the QNB Group which operates in 61 countries and 3 Continents through its subsidiaries and associates including Ecobank. 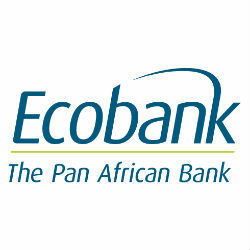 Ecobank opened operations in Tanzania in January 2010 and has since grown to include 12 branches across the country.